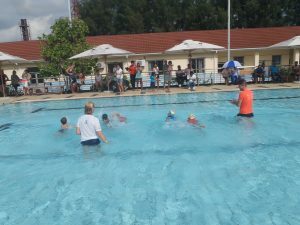 The EC swimming gala is always a popular event and gave the Early Childhood children a chance to show off their swimming skills. 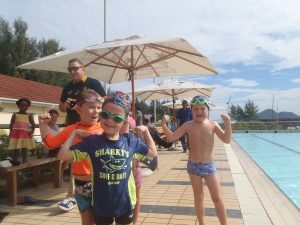 Parents and friends came to watch the young swimmers racing at the Roche Caiman pool. The morning heats were finished off by some really excellent swimmers diving in and racing across the 25 m pool. Many thanks to all the parents who attended and supported the Gala and to the Mahe Skimmers club who donated juice to the competitors. Everyone gained a Super Swimmer award for their performance.